Four of Wales' Grand Slam winners feature on the six-person shortlist for Six Nations Player of the Year. 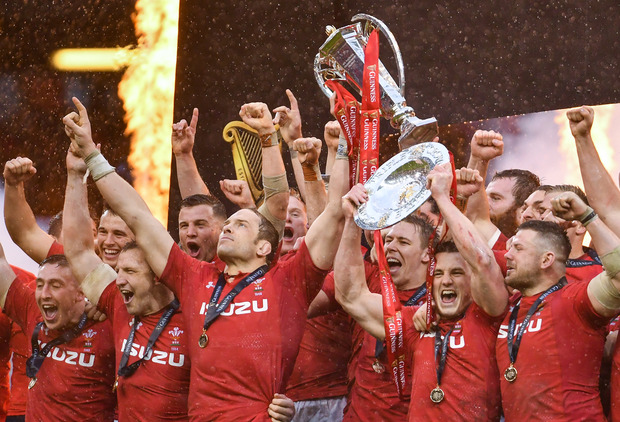 Captain Alun Wyn Jones is the favourite to secure the accolade after an inspirational championship, but he is sure to be pushed hard by some of this team-mates. As well as Jones, three Welsh backs make the cut. Inside centre Hadleigh Parkes, who scored the opening try in the 25-7 win over Ireland last weekend, is included alongside wing Josh Adams and fullback Liam Williams. Two English players also made the list, with wing Jonny May and openside flanker Tom Curry both in contention to win the award. No Ireland players were included after a disappointing tournament for Joe Schmidt's men. The shortlist was decided by a panel of media experts and fans can vote on the Player of the Championship on the tournament's official website between now and 12 noon on March 20.